The iPhone XS Max sports the largest screen that Apple has ever put in an iPhone, backed up by the lightning fast A12 Bionic processor. Samsung’s Galaxy Note 9 is a productivity powerhouse with some of the beefiest specs around. What happens when the two most powerful, large screen smartphones on the market right now go head-to-head in a range of categories? Let’s find out which one is right for you. The Samsung Galaxy Note 9 is an excellent performer. It has a Snapdragon 845 processor inside with 6GB or 8GB of RAM and 128GB or 512GB of storage. To help distinguish it from the Android flagship pack, which all feature the same 845 processor, Samsung has packed in a special water carbon cooling system that enables you to push the performance harder for longer. This phone has no trouble running the latest games and skips in and out of apps with ease. Apple’s A12 Bionic, which graces the XS Max, is its fastest processor ever. 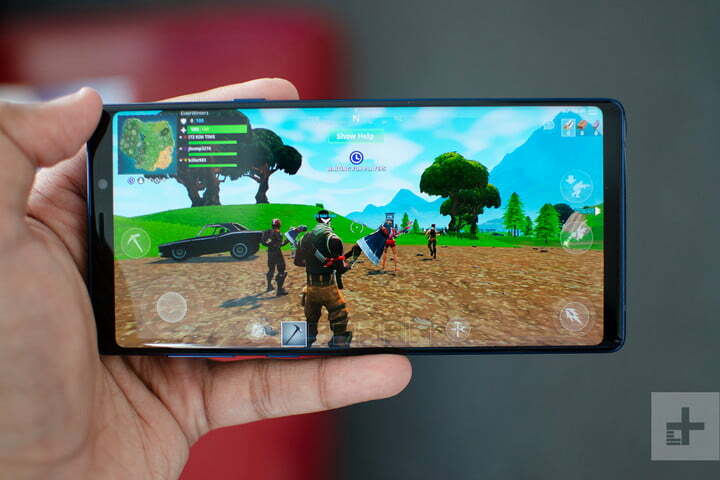 It’s significantly faster than the Note 9 according to the benchmarks and we found it silky smooth in real-world use. The iPhone XS Max also has 4GB of RAM and comes in 64GB, 256GB, or 512GB varieties. The disparity in RAM isn’t significant as iOS and Android handle memory management differently, but one advantage for the Note 9 is the option of storage expansion via the MicroSD card slot. The Note 9 has a 4,000mAh battery with support for fast charging, via Qualcomm’s Quick Charge 2.0, and Qi wireless charging. The XS Max has a 3,174mAh battery and also offers Qi wireless charging and fast charging, but you do have to buy a fast charger and cable separately to enjoy it. Both will get you through a busy day, but nightly charging will likely be required. The extra pizzazz in performance scores Apple’s phone the win. The design of the iPhone XS Max is like a super-sized iPhone X. It has the edge-to-edge display on the front with the notch housing that TrueDepth camera for FaceID. The frame is stainless steel and there’s a glass back with a dual-lens camera module at the top left. You won’t find a fingerprint sensor or a headphone jack here and Apple no longer includes the audio port adapter you need for wired headphones in the box. Samsung has refined its design with the Note 9, though it’s a little more angular than the S9. The display curves into the frame, and the glass on the back is also curved, which makes it feel thinner than it is and also makes it more comfortable to hold than the flat iPhone XS Max. There is still a headphone port and there’s a fingerprint sensor on the back underneath the central camera module. Apple’s design feels fresher and we prefer the look of it, but Samsung’s phone is more comfortable to handle, which can prove important in a big phone, and it has a headphone jack. Neither phone will cope well with falls, so cases are advisable, but they both boast IP68 ratings, which means they will survive a dunk in water, and rain is not an issue. The 6.4-inch Super AMOLED screen in the Note 9 boasts a maximum resolution of 2960 x 1440 pixels and it is flawless. It’s very sharp, very bright, and has excellent color accuracy. 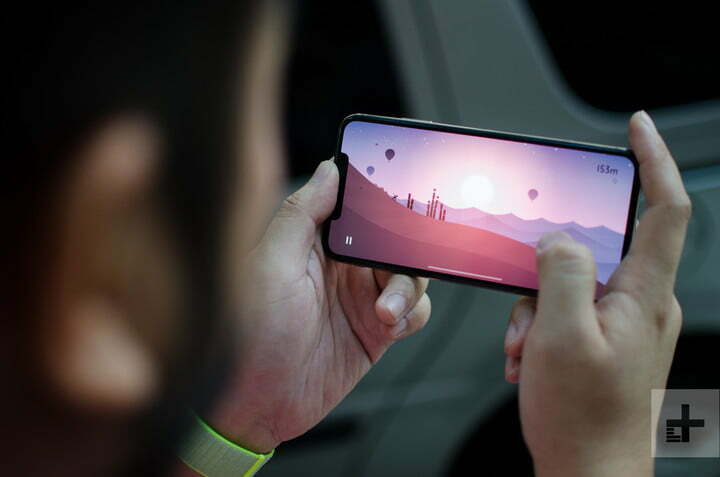 The iPhone XS Max screen is a 6.5-inch Super AMOLED with a resolution of 2688 x 1242 pixels. We can’t see anyone being disappointed in this display as it looks gorgeous, but the Note 9 has a slight edge and takes the win here. Samsung’s camera combines a 12-megapixel lens with optical image stabilization (OIS) and a variable f/1.5 to f/2.4 aperture with another 12-megapixel lens with an f/2.4 aperture and OIS. Low light photography is a strong point and there’s support for 2x optical zoom. There are some AI smarts to identify scenes and edit out flaws. There’s also a capable 8-megapixel front-facing camera. 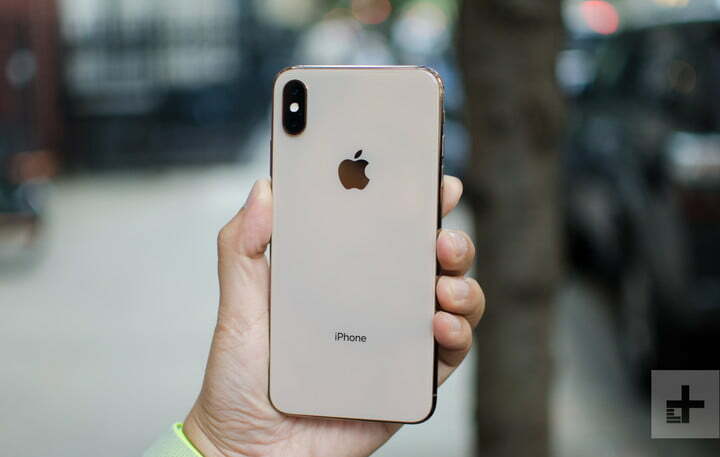 The iPhone XS Max pairs a 12-megapixel lens with an f/1.8 aperture, with a 12-megapixel telephoto lens with an f/2.4 aperture, both with OIS. It’s the same camera as the iPhone X on paper, but Apple has actually employed a new sensor, which, combined with the faster processor, nails exposure better than ever before. 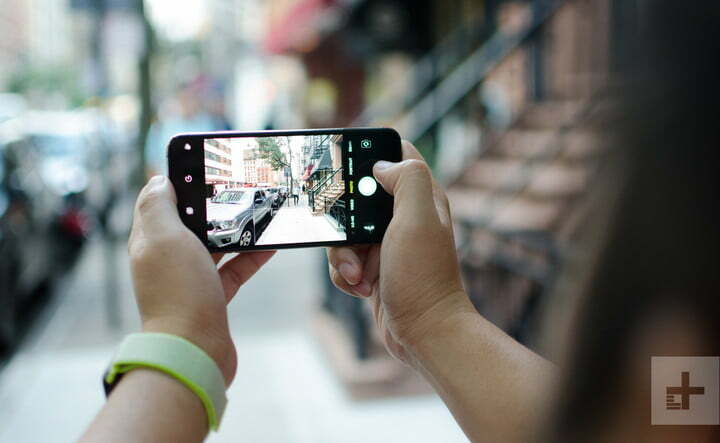 The portrait mode is also a highlight, enabling you to capture shots of people and adjust the blur on the background afterward. The front-facing camera is rated at 7 megapixels. It’s becoming harder and harder to choose the best camera and that’s because the general quality level has risen so high in recent months. In a camera shootout that included the iPhone X and Galaxy S9 Plus, which has the same camera as the Note 9, the two were neck and neck. With the improvements Apple has made this year, we think the XS Max is the one that will produce the most pleasing everyday shots most often, but this is a very close run category and there will be situations where the Note 9 gets better results. The Note 9 has Android 8.1 Oreo with Samsung’s Experience user interface over the top. It allows for a lot of customization and has plenty of features, though we’re not keen on Samsung’s voice assistant, Bixby, which gets its own dedicated button. We’re not sure when the Note 9 will get the latest Android 9.0 Pie update. Apple’s iPhone XS Max launches with the latest iOS 12 on board. When there’s a new version of iOS it will be rolled out to the iPhone straight away and we expect it to continue to get updates for longer than the Note 9. Beyond that, choosing Android or iOS is all about personal preference. 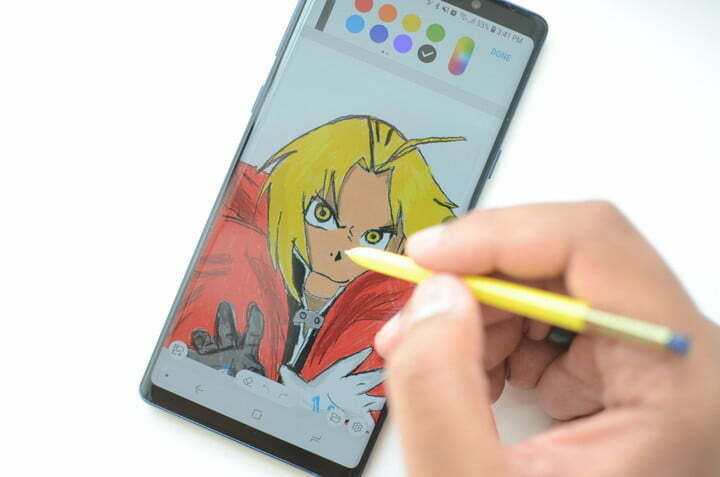 Samsung’s smartphone really shines in this department with its S Pen stylus for note taking and sketching, which also doubles as a Bluetooth remote now. Then there’s DeX support, which turns the Note 9 into a makeshift desktop replacement. The Note 9 also has face unlock and iris scanning options. Apple’s TrueDepth camera offers silky smooth facial recognition that’s more secure than Samsung’s. 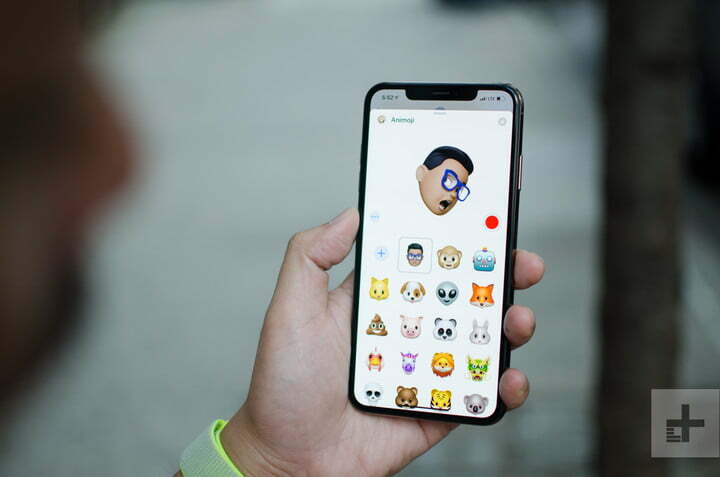 It also supports Animoji and Memoji, which are superior to Samsung’s AR Emoji. Overall, though, the Note 9 has far more special features to offer. These big phones come with big prices to match. The Note 9 starts at $1,000 and the iPhone XS Max starts at $1,099. The 512GB models cost $1,249 and $1,449, respectively, so Samsung’s smartphone is the more affordable of the two. You can buy them from all the major carriers. This is one of the tightest comparisons we’ve done and the differences between these two phones are slight. The iPhone XS Max edges ahead on performance, camera, and software updates, but the Note 9 has a slightly better display and more unique special features. Most of these wins are by a very narrow margin — so if, for example, you like Android, think you’ll use the S Pen, and don’t want to push the boat out too far on price, then you should probably pick Samsung’s smartphone. Apple fans will obviously get on better with the XS Max, but if you’re genuinely stuck on the fence between these two, we think the iPhone will suit most people better.